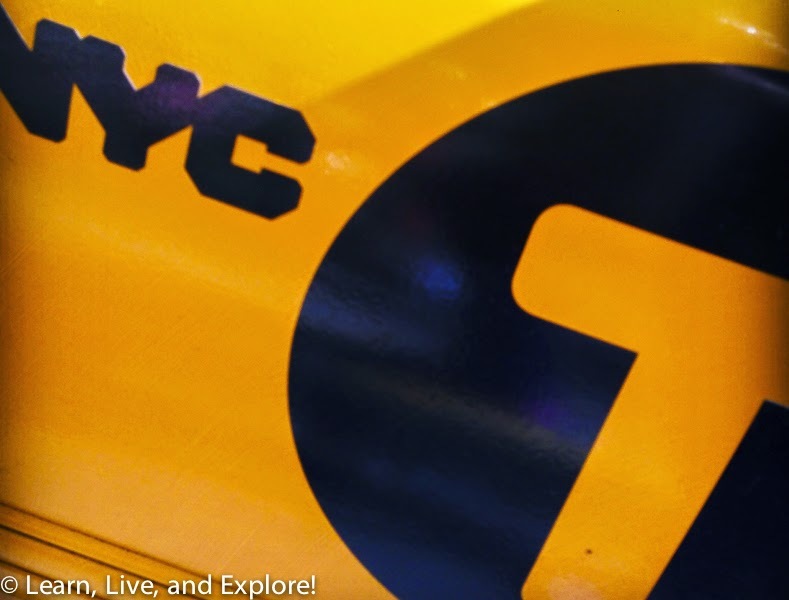 New York Theater Weekend ~ Learn, Live, and Explore! 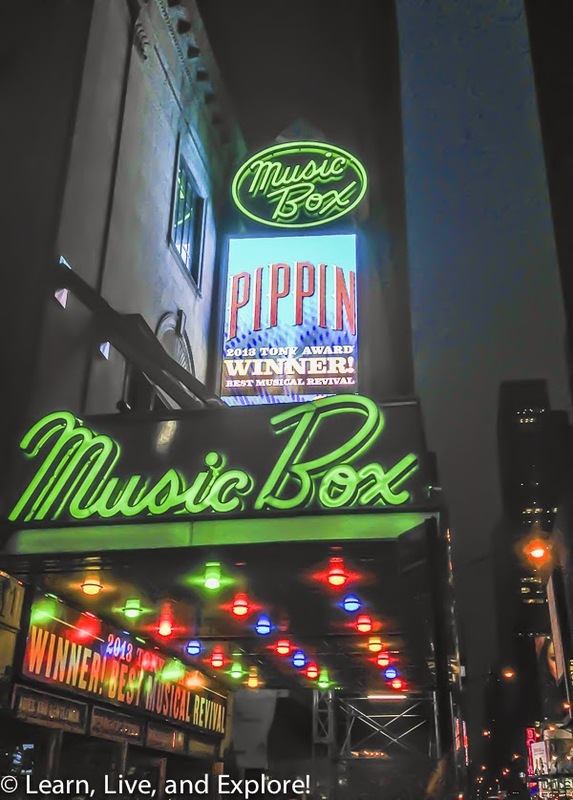 Last weekend was yet another successful Broadway break! 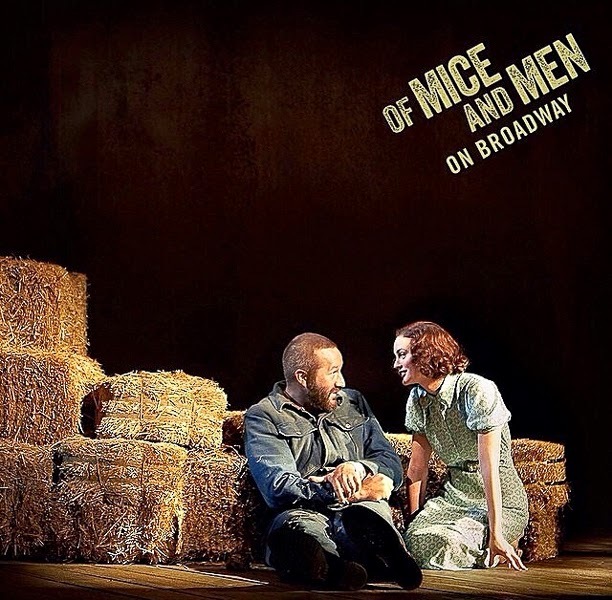 When I heard the announced cast of the 2014 production of Steinbeck's Of Mice and Men included James Franco and Chris O'Dowd, I bought tickets the day they went on sale without hesitation because I knew it was going to be a good show, and there was no way I was going to miss it! 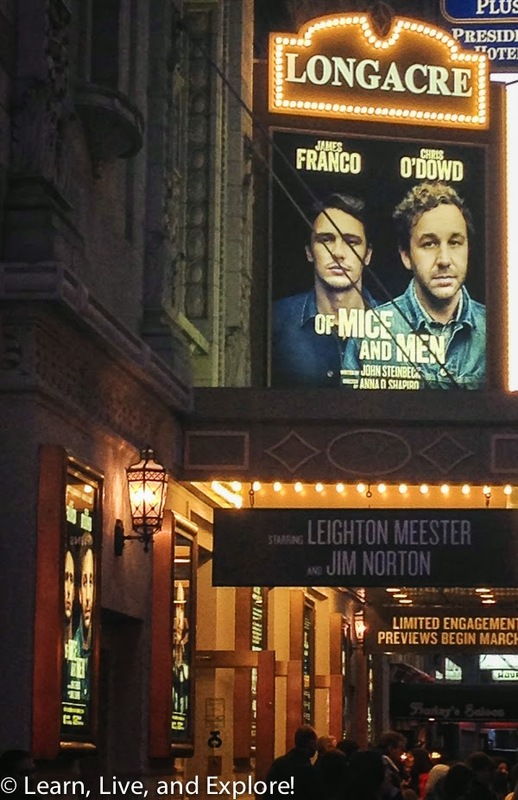 And while most of the fans in the audience were looking forward to seeing Franco, I actually was excited to see Chris O'Dowd portray Lennie - a much more challenging role, especially for someone more known for his comedic characters. As a bonus, several other fantastic actors were added to the supporting cast, including Leighton Meester (Gossip Girl) and Jim Parrak (True Blood), and they didn't disappoint. 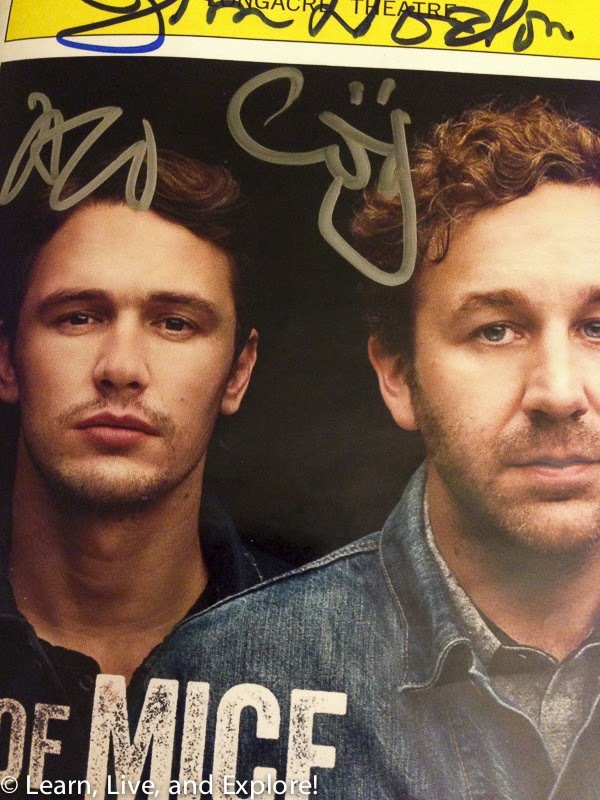 At the end of the show, it happened to be James Franco's birthday, so Chris O'Dowd led the whole theater in the singing of "Happy Birthday" and gave him a stuffed rabbit as a joke. 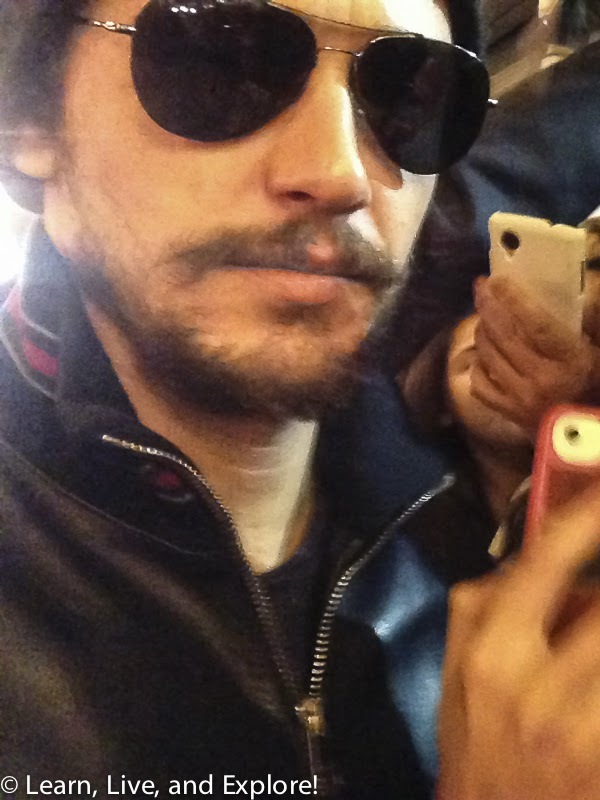 Of course, after the show there was the giant crowd at the stage door waiting for the actors to come out - sadly many of whom didn't even see the show but were just there for the celebrities. Somehow, I was lucky and got a spot on the barrier rail. 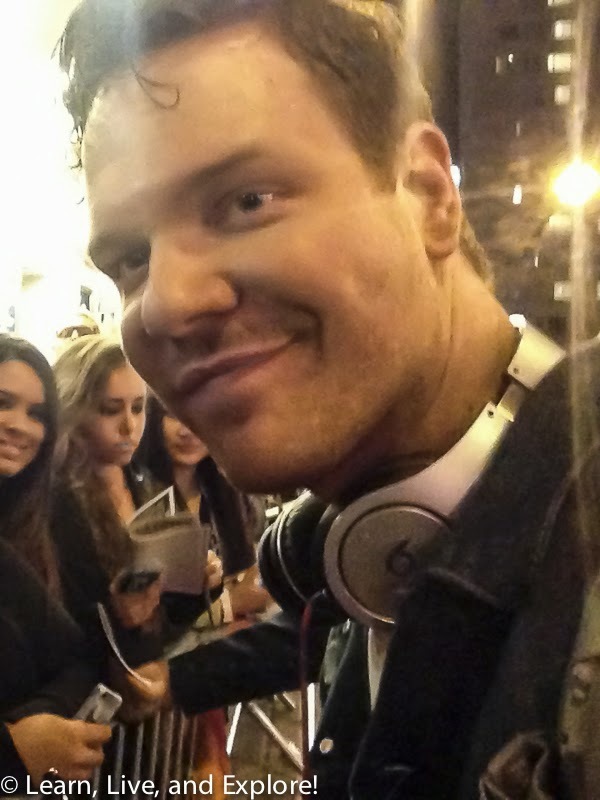 This was where you wanted to be because then you are pretty much guaranteed a Playbill autograph and a photo. 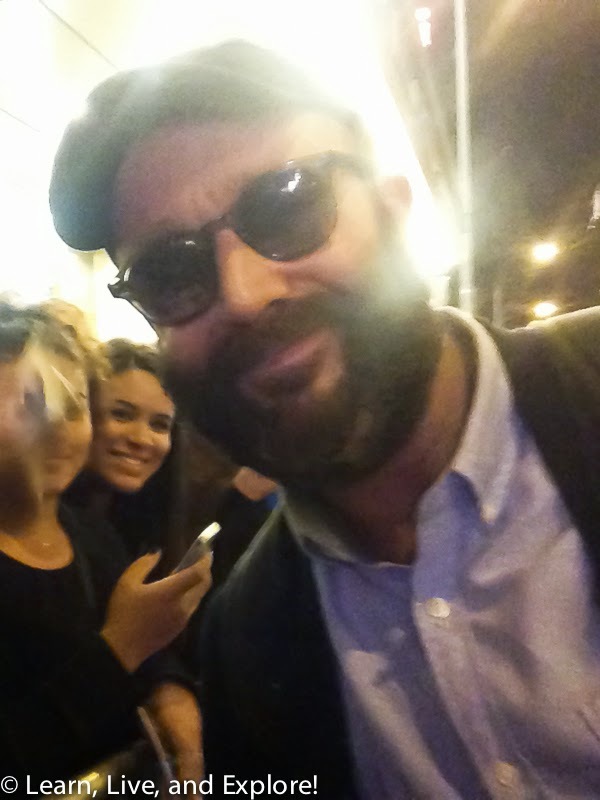 I've waited at a lot of stage doors, and the ones with big name celebrities tend to get a little crazy, but I think that, fortunately, Broadway has finally figured out stage door crowd control. While Of Mice and Men occupied my Saturday night, I had to find other shows to fill in the rest of the weekend. 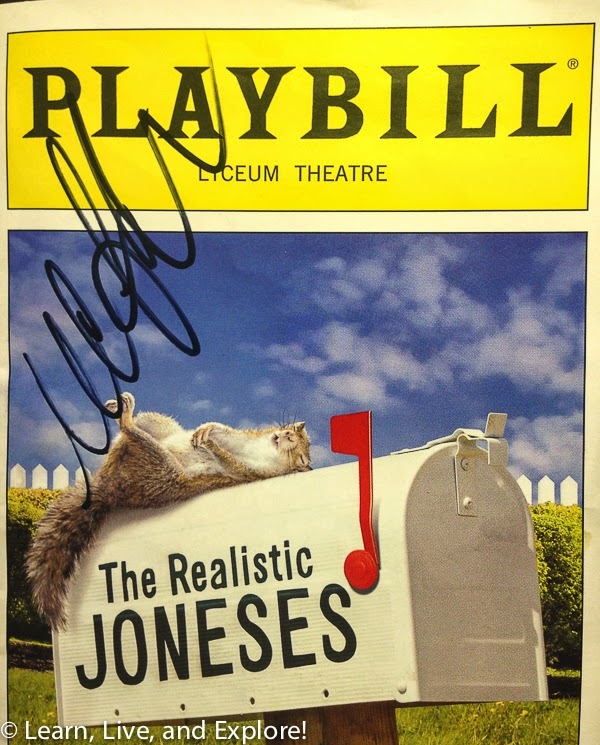 Another obvious choice was the production of The Realistic Joneses, starring Toni Collette, Michael C. Hall (Dexter), Tracy Letts (Homeland), and Marissa Tomei. I thought the play was very entertaining. 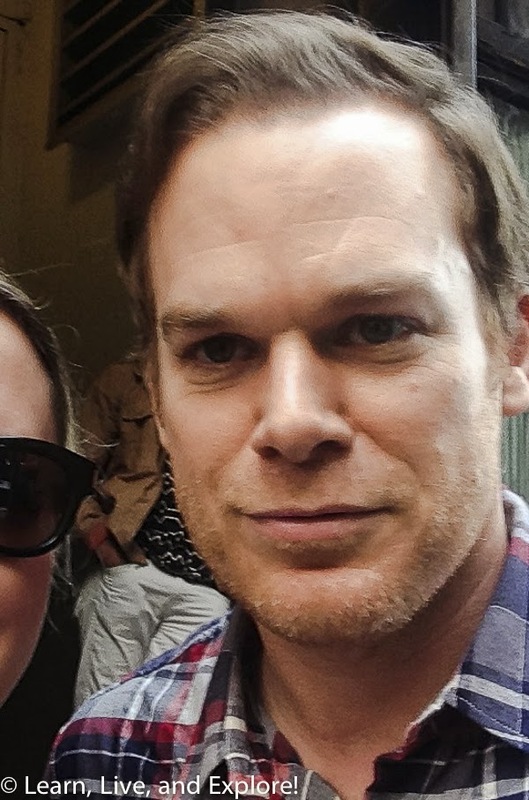 There was a goofy similarity and comedic timing between Michael C. Hall's character, John Jones, and his blood splatter expert portion of his character in Dexter. Having just binge watched that whole series in December/January, it was fresh in my brain. All of the other actors played their parts perfectly as well. 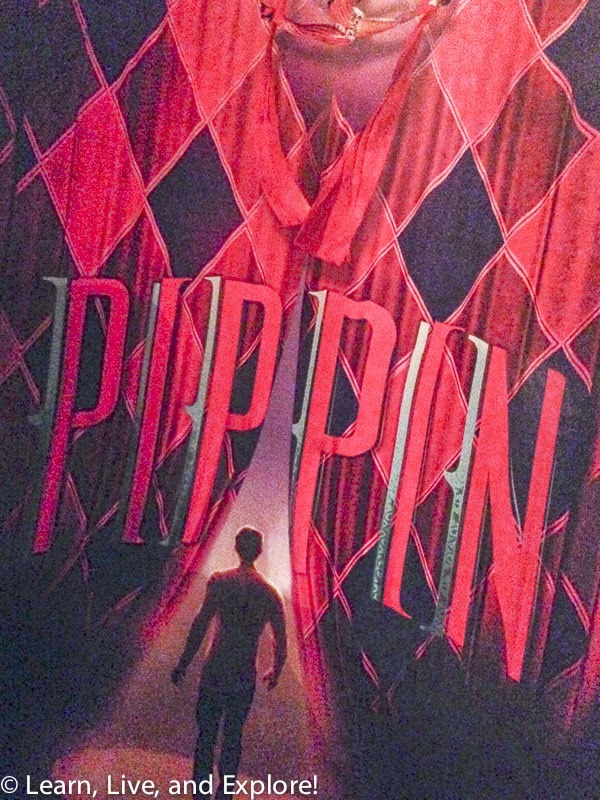 The final show for the week was the 2013 Tony award winner for Best Musical Revival: Pippin. I'm not sure what I was expecting. Maybe a little Cirque du Soleil type show with singing? I have to say that I was surprisingly underwhelmed. Add in some shopping in SoHo, brunch at my favorite place in Gramercy Park - Friend of a Farmer, and drinks around midtown, and that pretty much sums up a whirlwind NYC weekend!